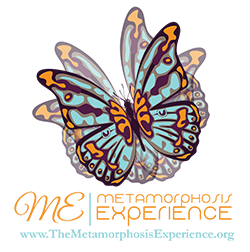 Metamorphosis “ME” seeks to service Women, Girls and Youth in the South Los Angeles/Pasadena area, who have been exposed or at risk of exposure to violence-related trauma, stemming from gangs, sexual, physical, and domestic abuse. Just like the butterfly touches the petals of flowers, branches of trees, and rocks in the stream, partner with us as we touch and transform lives. PO Box 94327 | 600 Lincoln Ave.